Are you looking for a luxurious getaway in Minecraft? 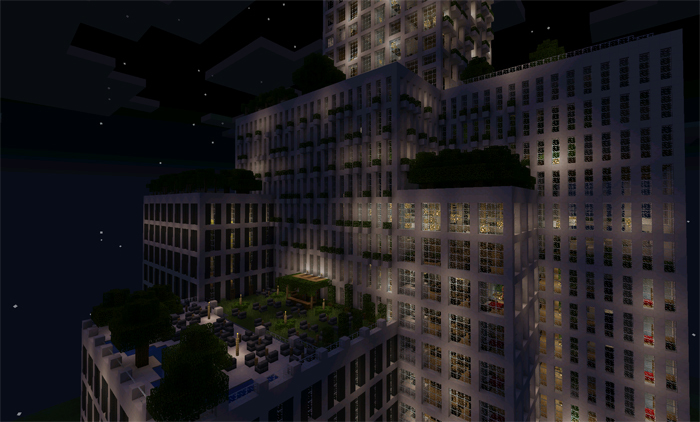 Go visit this modern hotel which is probably one of the largest hotels ever built in Minecraft Pocket Edition. There are countless of available rooms and several terraces which offers luxurious things like swimming pools and tennis courts. We highly recommend you to use Flow’s HD texture pack while playing this map as it will increase the realism of the map.